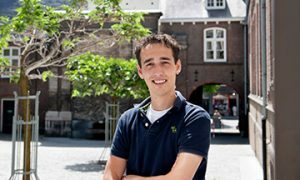 From 2019 onwards Vincent Cordewener is the new prevention officer at FASoS. Vincent took over the role from Claire Bollen. The faculty would like to thank Claire for her years of hard work and dedication in role of prevention officer, and wishes Vincent all the best for the future.